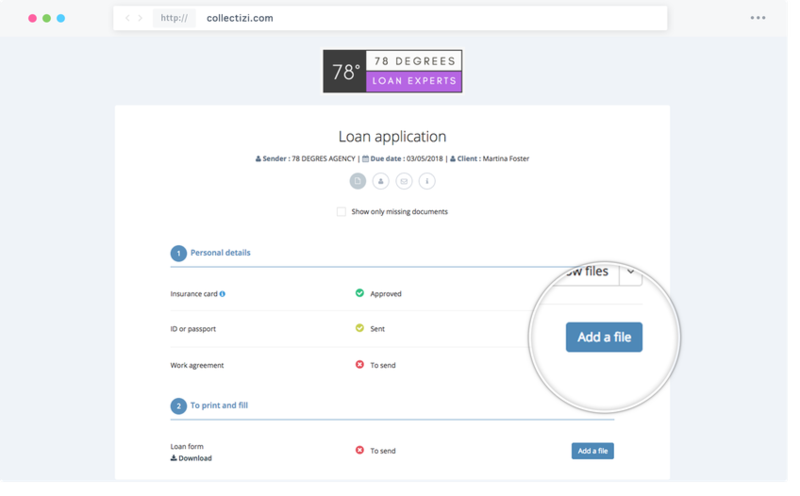 Collectizi is going to change the way you collect coworkers, employees, clients or suppliers required documents! We've gathered in a simple and secure web app all features you need for you to supercharge your work, every single day. Request, Collect, Approve anyone's documents or files and make sure you get everything you need at the right time.